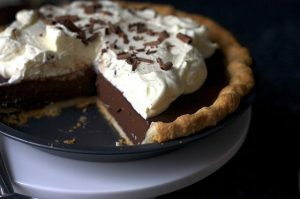 In a large sauce pan, whisk together the sugar, flour, and cocoa. In a medium bowl, whisk together the milk, yolks, and vanilla. Pour into the sauce pan. Turn the heat to medium and stir in the vanilla and butter. Bring to a simmer and allow to thicken. 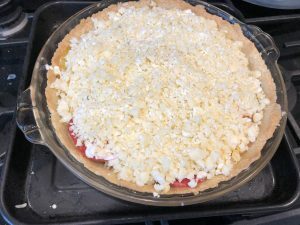 Pour into the baked pie crust and smooth the top. Let cool at room temperature for 2 hours and chill in the refrigerator for an additional 2 hours. Crush the crackers finely, but not to dust. 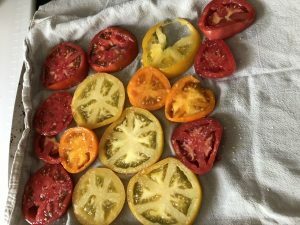 You can use a food processor or your hands. Add the sugar, then knead in the butter until the crumbs hold together like dough. 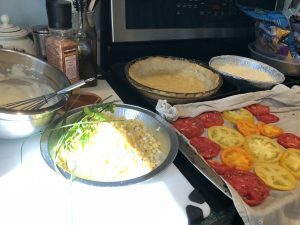 Press into an 8-inch pie pan. Chill for 15 minutes, then bake for 18 minutes or until the crust is golden brown. note: crust took at least 15 min more to become golden, set on convection bake at 375. 1 cup maple syrup, grade B. For crust, mix together the flour, sugar, and salt in a blender or food processor. Scatter butter and shortening over the dry ingredients and pulse until the mixture resembles a coarse cornmeal (about 15 seconds). Move the mixture to a medium bowl,and using a rubber spatula, fold the egg white mixture into the flour mixture until the dough sticks together. Shape the dough into a ball with your hands, then flatten into a 4-inch disk. Dust the dough lightly with flour, and wrap tightly in plastic wrap. Refrigerate for at least 1 hour. Roll the dough out on a lightly floured surface into a 13″ circle and transfer to a 9″ pie pan. Press the dough into the corners and sides of the pan, then trim the edges of the dough to make a 1/2″ overhang. Tuck the overhanging dough under so the folded edge is flush with the rum of the pan, and crimp or flute the edges. Chill the shell in the fridge until firm (about 1 hour). Prick the sides and the bottoms of the shell with a fork and line the entire shell with aluminum foil, pressing the foil firmly against the shell, then prick the foil with a fork. 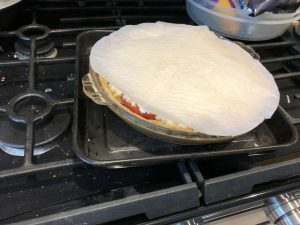 Bake the shell for 15 minutes, pressing down on the crust midway through the baking to flatten any puffing. Remove the foil after 15 minutes, and bake another 10 minutes until the bottom begins to color. 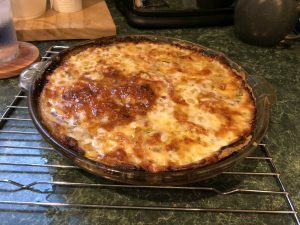 Remove from the oven, and brush the sides and bottom with egg yolk, and return to the oven for about another minute until the yolk glazes over. Remove from oven and let cool while preparing the filling. Lower the oven temperature down to 275F. 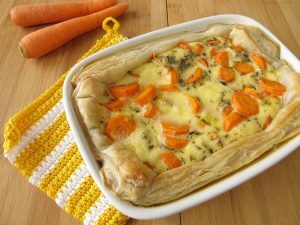 While the oven cools, set up a small pot of boiling water, and melt the butter for the filling in a large, microwave safe bowl. Mix in sugar and salt until the butter is absorbed. Beat in eggs, then maple syrup and vanilla extract, and rest the bowl over the boiling water, stirring until the mixture is shiny and warm to the touch. Remove the mixture from the heat and stir in the chopped pecans. Press the pecan mixture into the warm shell, then bake in the oven for 30 minutes. 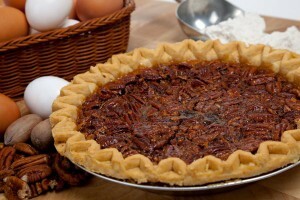 After 30 minutes, press the unchopped pecans into the top of the pie with a spatula, then bake for another 30 minutes. Let the pie cool after baking for at least 4 hours. 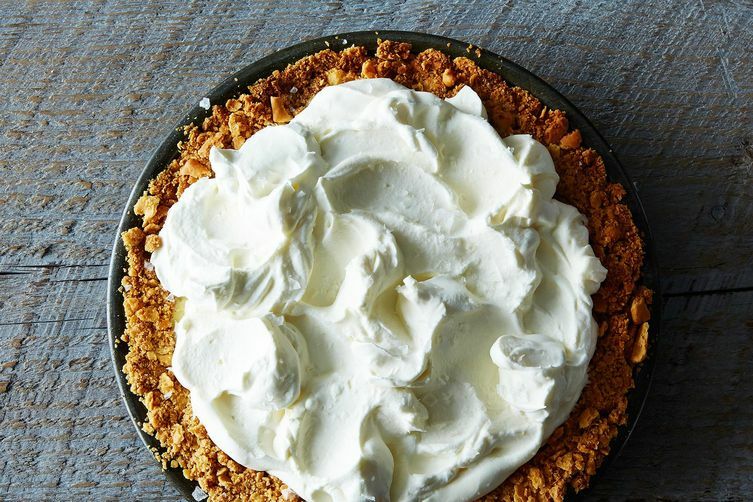 Serve the pie with whipped cream or ice cream. 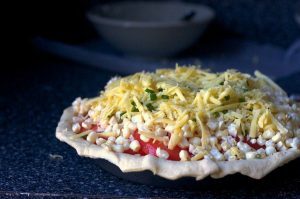 For the pastry: Combine the ingredients in a large bowl and, using your fingers or a pastry blender, cut the mixture until it comes together as a smooth dough, with the butter well incorporated. Form the dough into a ball, flatten it slightly, wrap in wax paper or plastic wrap and refrigerate for 30 minutes or up to 24 hours. note: play around with this maybe use food processor for butter and flour and then add cottage cheese and pulse, don’t think mine dough was incorporated enough. 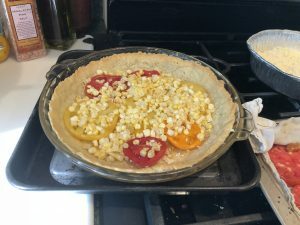 On a lightly floured surface or between two pieces of wax paper, roll out the dough slightly larger than the pie plate or quiche pan and press the dough into the plate or pan. Prick the bottom with the tines of a fork, cover loosely and refrigerate for 30 minutes. 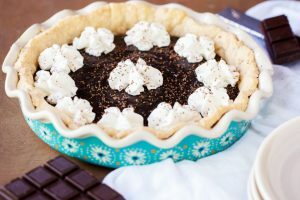 Line the pie shell with aluminum foil and pour ceramic pie weights or dried beans evenly on the foil. Bake for 8 minutes, then carefully remove the weights or beans and the foil, and bake for 2 minutes. 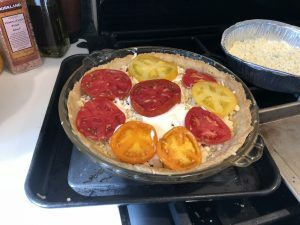 (At this point, the crust will not be fully baked.) Cool. 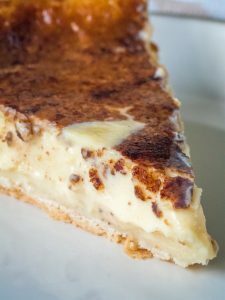 Brush the bottom of the cooled pie shell with a thin, see-through coating of the mustard. 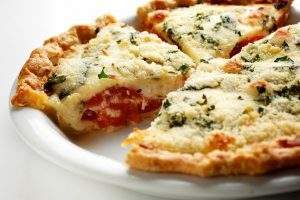 Layer the tomato slices, Swiss cheese, basil and parsley, seasoning each layer lightly with salt and pepper to taste. 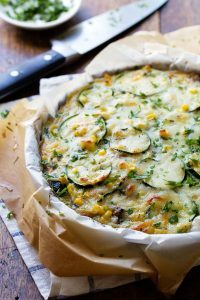 Scatter the mozzarella and Parmesan evenly over the top; bake for 30 to 40 minutes.